the CIFA Complex on Saturday. match, but his shot slid wide right. to give Puaikura a 1-0 lead twelve minutes into the match. Much of the action in the first half took place on Nikao’s side of the pitch. came out with a vengeance. pass the Puaikura keeper in the 46th minute to level the score 1-1.
free kick from outside the box. Nathan Tism in the 76th minute. finding the back of the net three times in the last few minutes of the match. goalies Tumatangi and Elikana did well to keep the scores locked at 1-1. 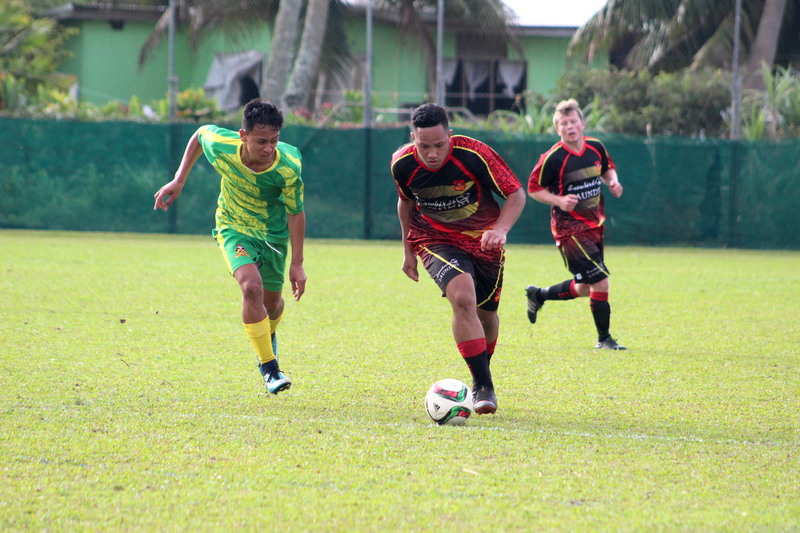 Tupapa Maraerenga defeated Matavera 3-0 on Friday afternoon.